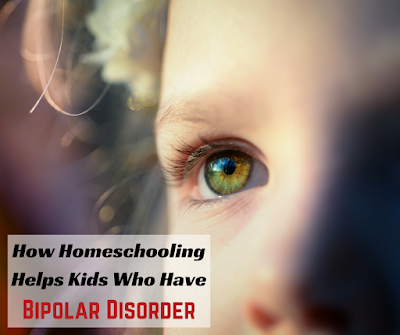 As I learn more about my daughters' individual challenges and symptoms, my understanding of just how fortunate they are to be homeschooled grows. Today, I'm focusing on bipolar disorder because it is the predominant challenge in our home. When you have a child, or anyone in your home, who has bipolar disorder, you may be the driver, but this disorder is always riding shotgun. You can still enjoy the trip, but you maintain a keen awareness that this passenger is next to you. You understand that at any given moment it may grab the wheel and take you on a wild ride. This is why I believe my children are so fortunate to be homeschooled and I am blessed to be able to teach them. I think we all know I love the Charlotte Mason method. But now that I'm truly understanding that we are a special needs family, I realize how it helps us in so many other ways. I believe this method is beneficial to all children, but I've thought of a few ways that it really helps those with special needs. Children with bipolar disorder and dyslexia have very vivid imaginations. These children can be distracted, but are very creative. Giving them books that stimulate their imaginations almost ensures their focus. Many times, it inspires them to do something else such as draw, write their own story, or explore something in nature.